The pinnacle of perfection, the RF-1200 has been designed, from its inception, to be an industry leader in comfort, performance and protection. The wind tunnel tested shell has been optimized to provide a compact and aerodynamic shape, reducing wind-noise, buffeting and weight. Shoei has not only designed the RF-1200 to be one of the most comfortable helmets on the market, but also one of the safest, meeting both DOT and SNELL M2010 safety standards. I love this helmet! When I go to a friends and use their helmets it's not the same. I have owned a few cheaper helmets. HJC, Scorpion, Bell and some others. This One is quiet. Almost no whistling. The airflow is good. Fit is Good. I can ride for hours and it doesn't get heavy. To make it even better it's a Marc Marquez helmet in the Stars and Bars! 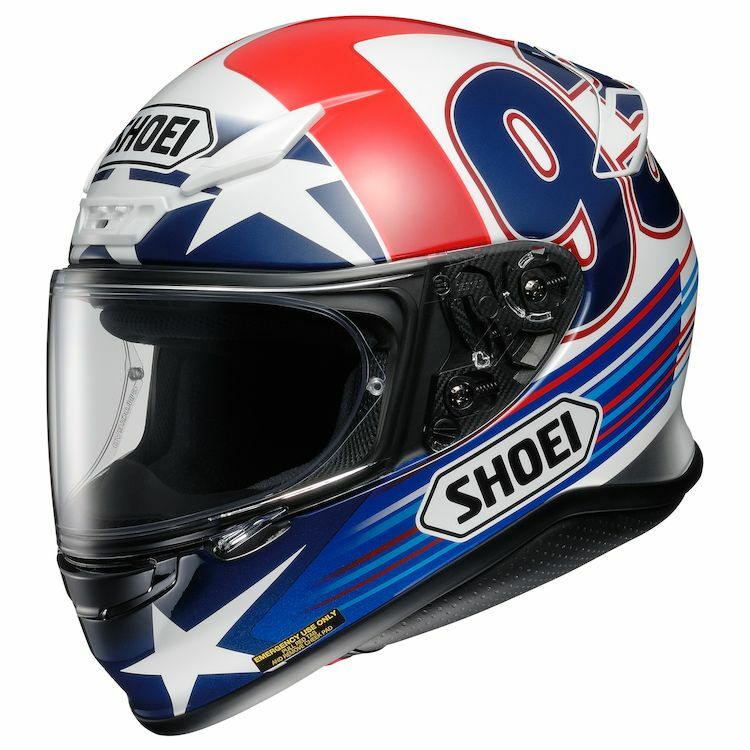 I've ridden in Shoei for most of my life (I'm 56, been riding since I could) and always know what to expect when I buy one. Top shelf! Absolutely met my expectation's! I bought this to ride on a 120 mile daily commute on an NC700. 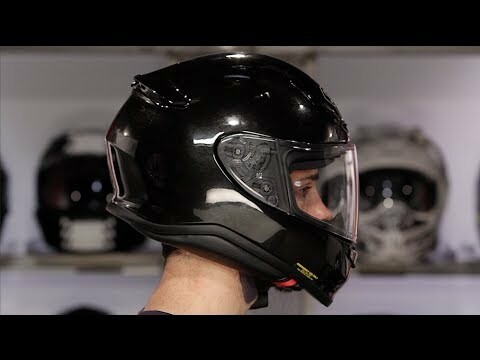 I find it to be very comfortable, more so than the HJC and Arai helmets I tried on. Pleasure working with the Revzilla staff; I won't buy from anywhere else! I've had 2 Shoei RF-1200 and I don't plan to change. It works for me. Make sure you get the right size and lock it in place if know you are going fast. Extremely good air flow and visibility. Had RF1000, 1100 and the quest. This is an improvement, better air flow, quieter, seems less bulky.. Kind of had to wait for a sale as it's way too high priced. Prefer plain graphics though, this is overly fancy. Tight in the cheeks and forehead, visor is a bit "ratchety." Comes with the pin-lock antifog screen kit, chin air guards (you install,) and some visor oil. SHOEI and DOT are painted on, not stickers. This helmet is comfortable and quiet but the best thing about it is the way it slips through the air at speed. My last helmet had the aerodynamic qualities of a brick. The area I live in is often windy and this helmet makes my ride more comfortable and stable even in crosswinds. I definitely recommend it. Absolutely love the helmet. Bought one for myself and the wife. She loves the helmet as well. Graphics are awesome and the price was great. Comfortable fit and easy to put glasses on.